Historic Jacksonville, Inc. brings the history of Jacksonville and Southern Oregon to life through tours, events, and activities that share the stories of the pioneers who settled the region. Following the discovery of gold in 1851-2, Jacksonville became a melting pot of races, classes, and cultures as ambitious individuals pursued the promise of riches. The offer of free land brought settlers seeking opportunity. The influx of miners and settlers attracted merchants with goods to sell. Time travel to Depression Era Jacksonville on April 27 when we offer our new Beekman House 1932 Living History at new times and with new characters. 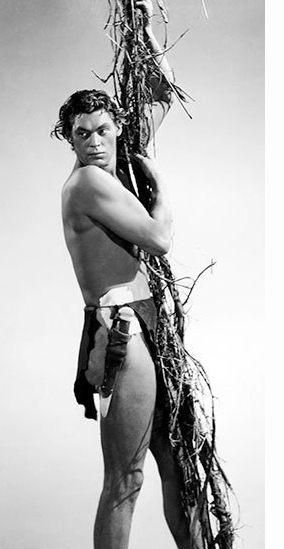 Olympic gold medalist Johnny Weismuller has found fame as “Tarzan the Ape Man” as moving pictures become an escape from the Great Depression. One-fourth of Americans are unemployed. Franklin Roosevelt is promising a New Deal. And Ben and Carrie Beekman are closing up their 1873 Jacksonville home, going through family belongings, commenting on current events, and sharing memories of 19th Century life. Become part of 1932 Jacksonville as you meet and interact with the Beekmans, family members, and friends! 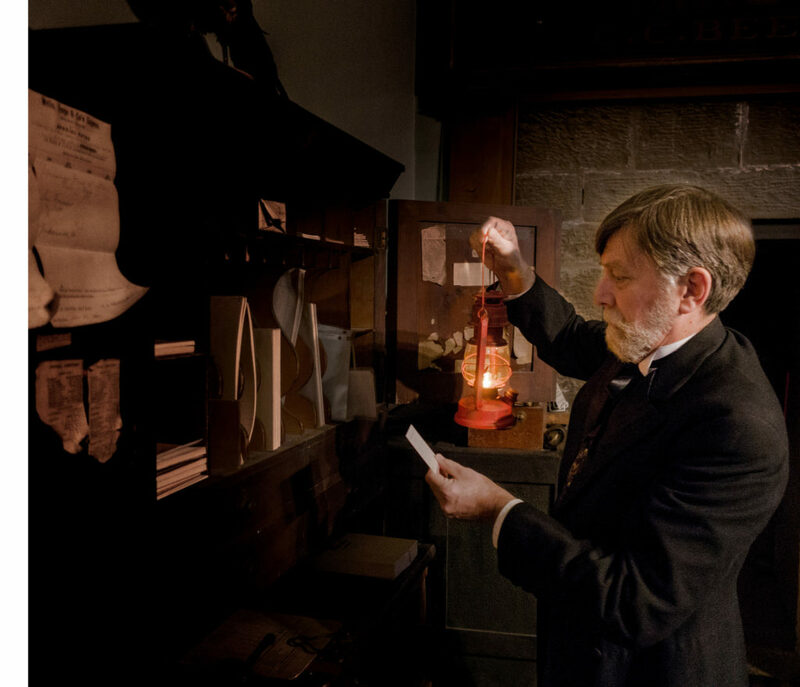 Our new “Secrets & Mysteries of the Beekman Bank” – candlelight tours of the oldest financial institution in the Pacific Northwest – have proven so popular that we are offering one final weekend on Friday and Saturday, May 3 & 4! Begun by C.C. Beekman as a gold dust office in 1856 and moved in 1863 to its current location at 110 W. California Street in Jacksonville, the Beekman Bank saw over $40 million in gold cross its counters during Jacksonville’s heyday in the 1800s—equivalent to almost $1 billion in today’s currency! Join regional historian Ben Truwe as he pursues secrets lost with the last Beekman family member. 45 minute tours at 6, 7 & 8pm. And don’t forget to follow us on Instagram and “like” Historic Jacksonville, Inc. (historicjville) on Facebook for weekly snippets of local history each History Trivia Tuesday! 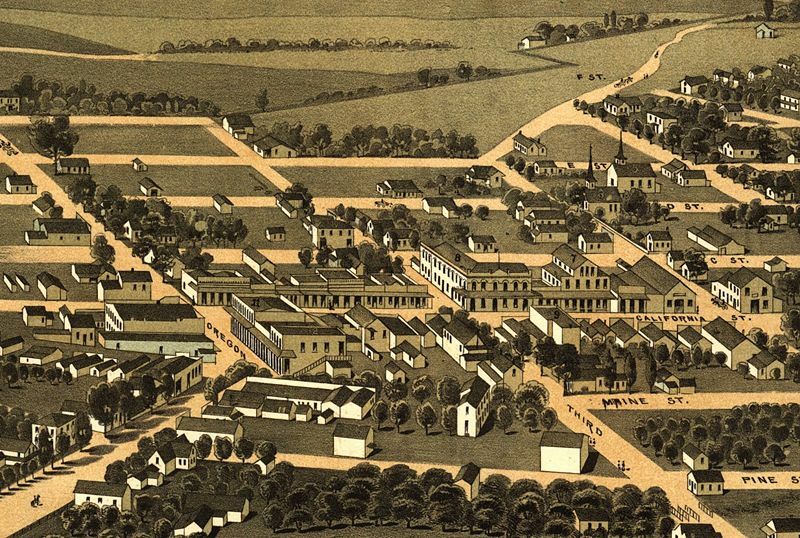 When Oregon was admitted to the Union in 1859, Jacksonville was the largest inland trade center in the new state, and Jacksonville and its residents played a dominant role in early Oregon history and statehood. But when the railroad by-passed Jacksonville in the 1880s, the town slowly sank into oblivion. However, that oblivion also proved to be the town’s salvation, preserving the historic buildings, homes, and character that you see today—Jacksonville’s National Historic Landmark District. Today, these landmarks live again through the efforts of the City of Jacksonville, volunteers, and private owners so that you can again experience Jacksonville in its heyday.